TechnoFile visits the Ford Model T "T Party"
They called it a "T Party," and that description suited the event to, well, a T.
It was the celebration of the Ford Model T's 100th anniversary, a week-long bash in and around Richmond, Indiana put on by the Model T Ford Club of America, with Ford offering support. The event saw literally hundreds of Ford Model T's of varying age, state of restoration, and configuration take over the Wayne County Fairgrounds for a gigantic group hug and hat tip to the vehicle that sold more than 15 million copies during its reign and helped change the world as we know it. 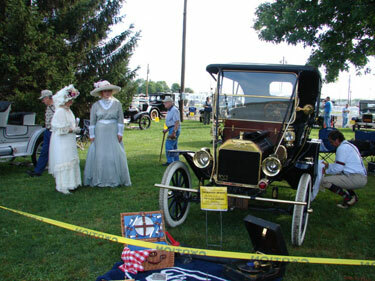 Ford was kind enough to invite me along, and I was thrilled to be rubbing shoulders with a googolplex of Model T aficionados, Ford folk and a large and dedicated group of Hoosiers who worked their rumble seats off to ensure the event was a success. "Freedom" was a major theme of the time I was there, and it seemed most appropriate, not only because we were in the U.S. heartland, with abundant bunting and many Stars and Stripes flying proudly, but also because the Model T was responsible in great part for opening up the countryside of nearly whatever country you can name, and letting people of even modest means pick up and go wherever and whenever they darn well pleased. One might argue that the Model T was as influential to its world as the Internet is to ours. 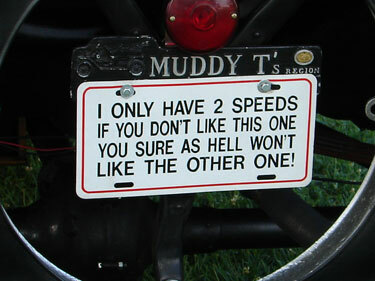 Introduced on October 1, 1908, the Model T (a.k.a. Tin Lizzie), debuted with a 2.9 liter four-cylinder "flex fuel" engine that cranked out some 20 horses, offered a top speed of about 45 miles per hour and gave about 20 mpg. Ford says it was the first vehicle to offer a single block motor with a removable cylinder head, which today is SOP for most engines. You could put that engine into one of nine body styles including Touring, Roadster, "Fordor", Coupe and Sedan. And that was only the beginning. Of the 800 or so T's on hand in Richmond, I saw pickup trucks, campers, race cars, delivery vans, tow trucks and even a school bus (the latter displayed by Ford). It was a remarkably flexible platform that offered a permutation for nearly everyone and paved the way for the kind of platform sharing we see today with many car companies. Mass Production. Henry Ford perfected the moving assembly line, "creating and defining the industrial age and enabling Ford to steadily decrease the price of the Model T" from $825 at its premiere to $260 in 1926. "Friend of the Worker". Ford established the $5 per eight hour day minimum wage with the Model T's production and claims this helped create the middle class, as well as giving jobs to people who may have had difficulty grabbing a gig normally. It's too bad the workers since then, or at least their unions, haven't been as kind, making it difficult for Ford and other union-shackled car makers to compete. That's me talking, not Ford. Left Hand Drive. 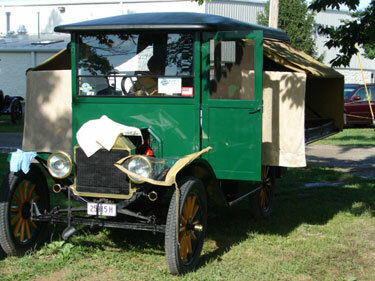 While the controls of a Model T are very different from today's cars, the Model T standardized the left hand drive configuration for North American roads, though other countries appear to have ignored that particular innovation – and there was at least one right hand drive model on hand at the T Party, a camper van that came all the way from Australia. World Car. During its production life, the Model T was built on every continent except Antarctica (where the market would be quite limited) and in countries from Australia to Norway. According to Ford stats, at one time during the T's production, it accounted for over half of all cars sold. It wasn't until 1972 that its sales achievement was passed, by the original VW Beetle. Clearly, this is a car that, besides being a really cool classic, has earned its place in history. This is undoubtedly why Model T owners from 45 states and eight countries registered for the celebration that, according to organizer Jay Klehforth, may have set a Guinness World Record for the longest single-model line of cars when formed into a parade and sallied forth on a 20 mile or so adventure to nearby Hagerstown, where a fly-in of beautifully restored aircraft from the 1930's was held. A thrill for me was when I was invited to tag along in the back seat of a beautifully restored Model T (they were T's-ing me, surely!) 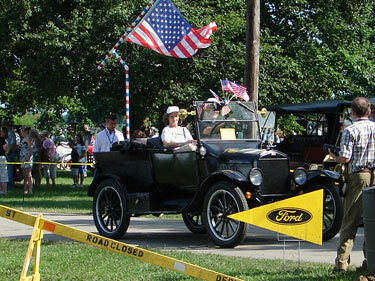 during that parade, as hundreds of spectators turned out to wave at the historic wave of classic autos. I've driven – and "passenged" – in faster vehicles, but I don't think I've ever been more excited or moved while in a car – and all I did was show up on Ford's dime! They even let me drive a Model T, which isn't as straightforward as it may seem because the controls are very different from today's cars. For example, the "gas pedal" is actually mounted on the steering column where most modern cars have their windshield wiper controls and the brake pedal is on the right. I was impressed by how well the T handles and how comfortable the seats are, all things considered, and I managed to stall it only once! As much as the T Party was a celebration of Fords (and Ford's) past, it was also an opportunity for today's Ford to demonstrate where it's going in the near future, with a couple of concept vehicles at least one of which, if it reaches market in a form close to what was on display, could be Ford's next Model T.
It's the Verve Concept, a "world car" scheduled to reach North American shores in 2010. A sedan version was on display at the T Party and it's the most interesting car I've seen from Ford in years. When it comes to market as the Ford Fiesta, competing in the "subcompact" niche – though it didn't look that small – it will be available in various configurations, though not necessarily in every market. A Ford representative told me they're planning two door, three door and five door versions as well as the sedan displayed in Richmond. The aerodynamic body features a terrific greenhouse and a sharply raked windshield that flows seamlessly into a glass roof. The interior looks comfortable and high tech and appears very easy to operate, though I didn't see it in action. It's definitely a car I look forward to seeing and driving; if it drives as well as it looks, it could do very well. Also on hand was the new – and available now – Ford Flex crossover, which looks kind of like a Mini Cooper inflated to about twice its size (a Maxi Cooper?) and the Lincoln MKS. I'm not sure about the Flex from a purely aesthetic point of view, but the MKS is the most attractive Lincoln I've seen in a while. 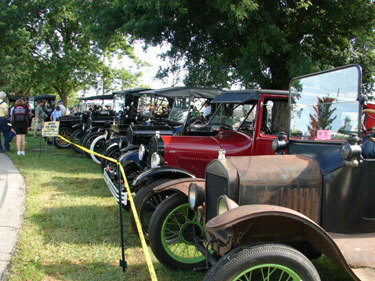 Ford also presented some of its strategies designed to increase fuel economy and reduce emissions while helping ensure its vehicles remain affordable to the masses of people whose great-grandparents embraced the Model T with open arms. Some of what they're planning is to increase the number of hybrids they offer as well as adding biofuel and fuel cell technology, upgrading vehicle aerodynamics and embracing more "friendly" materials such as soy-based interior materials. They're also introducing such features as electric power steering and six speed automatic transmissions to replace their current four and five speed units. EcoBoost technology, introduced on the Flex and MKS, couples direct injection gas engines with turbocharging, allowing for the use of smaller and more fuel efficient engines that give "performance people" what they want without annoying "Person Nature" excessively. Ford says the EcoBoost 3.5 liter twin-turbo V6 produces an estimated 340 horsepower and 340 lb.-ft. of torque, which was V8 territory not too long ago. Other companies have been going this route as well, and it appears to work. VW's GTI, for example, has a direct injection turbo four that loves to play, while Lexus offers an eight speed automatic transmission currently. So Ford is actually playing catch up, but it does seem to be a smart move. Doom and gloom stories about Ford are published all the time, but it appears the company that brought freedom to millions in the early days of the car industry isn't about to give up the good fight. In fact, if its new models and strategies succeed, Henry Ford's company may be around to celebrate the Model T's second centennial in style. I hope they invite me to that party, too!